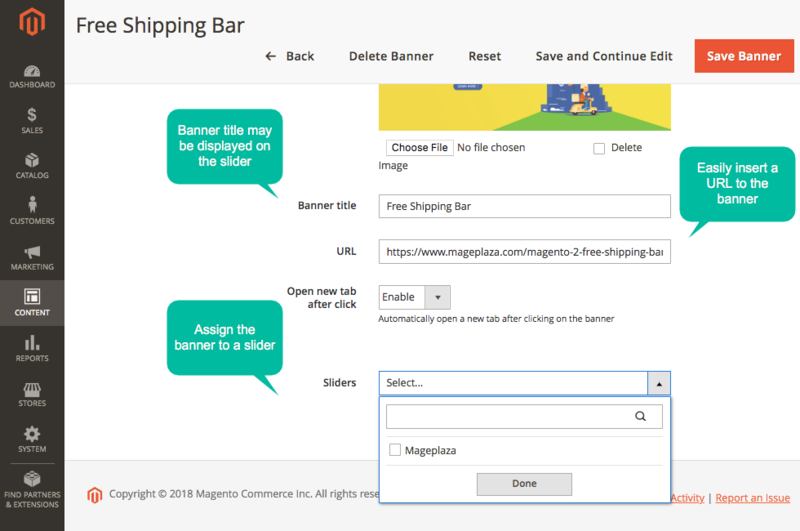 Banner Slider by Mageplaza is a powerful marketing tool that helps store owners insert unlimited eye-catching banner sliders on shopping sites. The extension enhances visual effects and UX of visitors then increases CTR for your promotional campaigns. Placing the slider of attractive and eye-catching banners on the home page or other main pages will help customers quickly notice about top sellers or new arrivals. As a result, it is easy for visitors to make the decision on purchasing quickly. 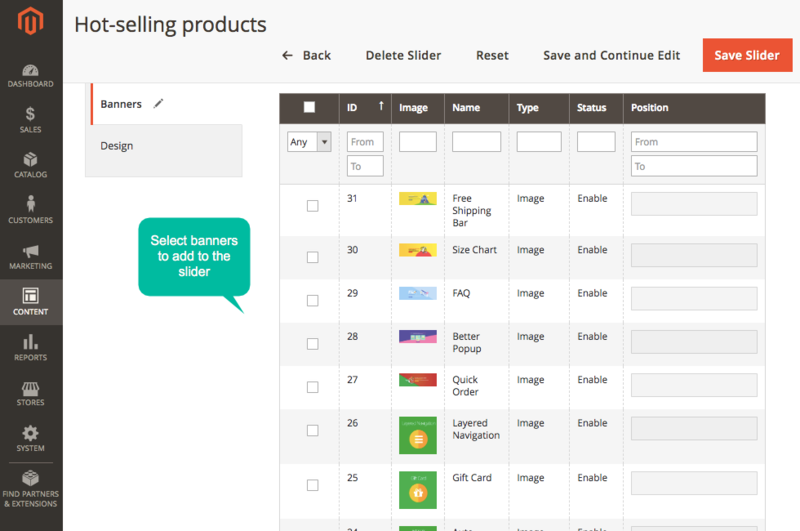 Using banner sliders is an effective way to beautify shopping sites. Colourful and high-quality big images make the sites more impressive, more professional, especially, more interactive to the users. 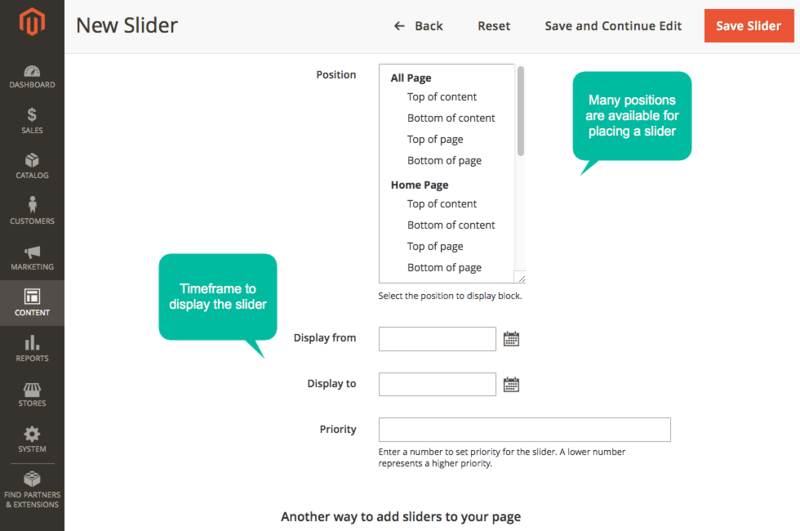 As a result, banner sliders enhance user experience on the site significantly. 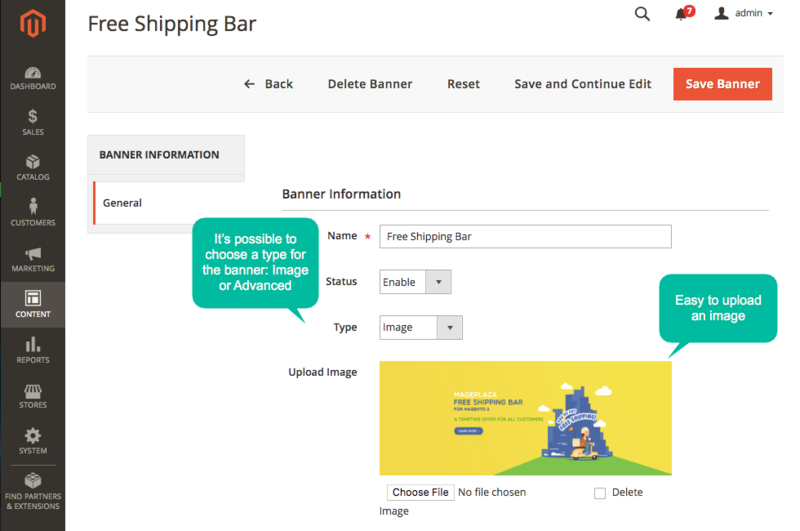 Banner sliders prove their efficiency in marketing campaigns. Big-sized motion images on main pages work as the highlight of the promotion, campaigns or upcoming events. Therefore, they increase customer retention then boost conversion effectively. 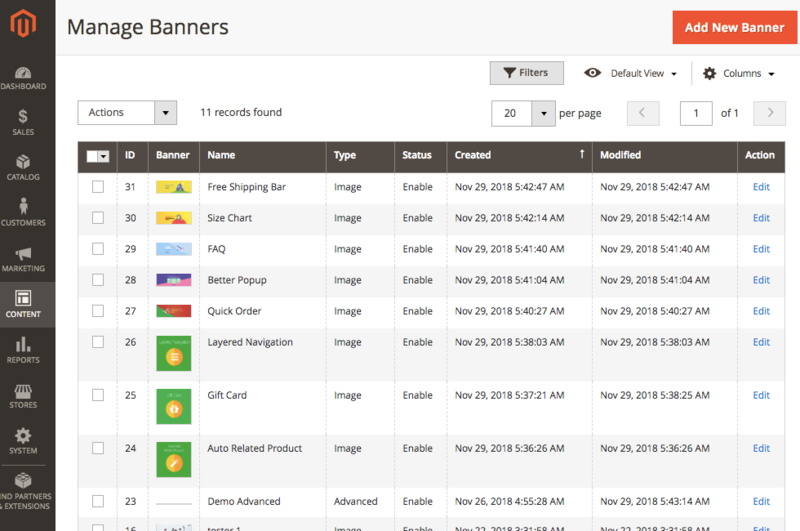 Banner Slider module allows store owners to upload unlimited images to make banners with ease. The module supports multiple image types such as jpg, jpeg, gif, and png. The flexibility of locating unlimitedly banners and sliders with animated effects will support well store owners’ purposes. Besides, the diversity in design and appearance of banners and sliders helps store sites look more attractive and gain the typical views. For admins who are familiar with coding, uploading images can be made quickly by inputting codes into editor section. The module supports advanced demo templates which can be edited by using the backend editor. Besides, this function can help admins upload multiple images at the same time by adding their links to the editor. 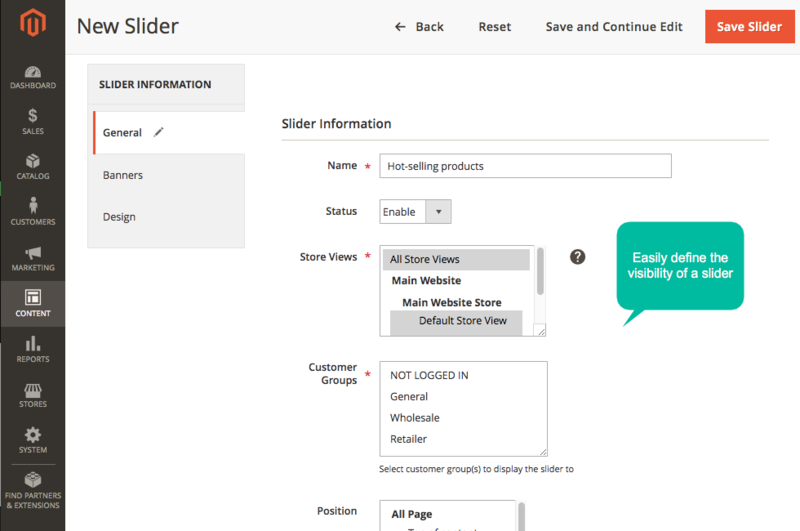 The module allows admins to set location for a slider easily from the available selection list of with various positions on site, with the main positions including product view page, product list page, home page, footer and header. 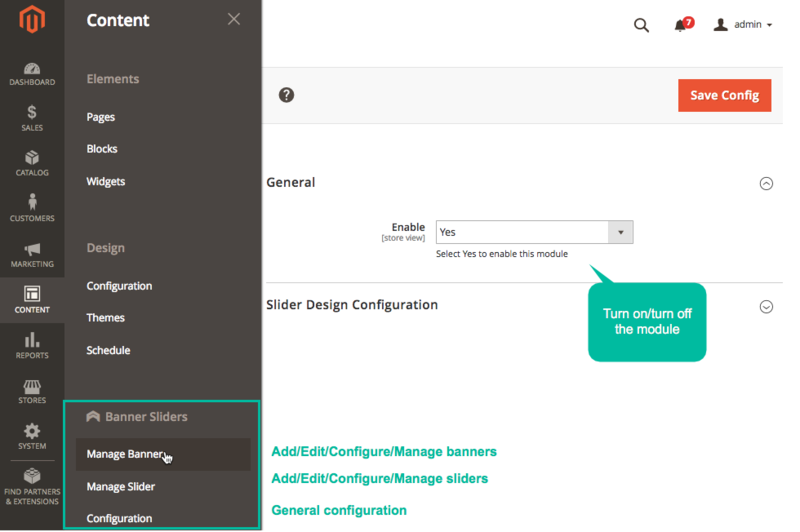 Besides, another way to manually locate banner sliders is creating Banner Slider widget and add to any CMS Page or CMS Static Block of store sites quickly. The strategic location of banner sliders play an important role in increasing customer retention and encouraging purchasing behaviour. Easy to view and edit banners and sliders from management grids. Attach an URL link with a banner to display a new tab after clicking on. Feel more interested in surfing store site. filter_drama Can I add the banner to any places I want on my store site? Yes, absolutely. 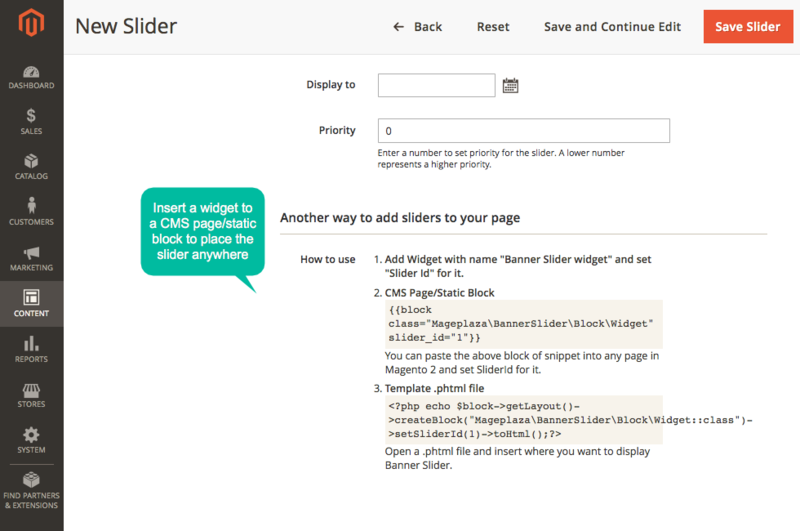 You can do it easily by embedding Banner Slider widget to any CMS Page or CMS Static Block. filter_drama Can I change the animation effect of the slider? Yes, you can do it easily from the backend. 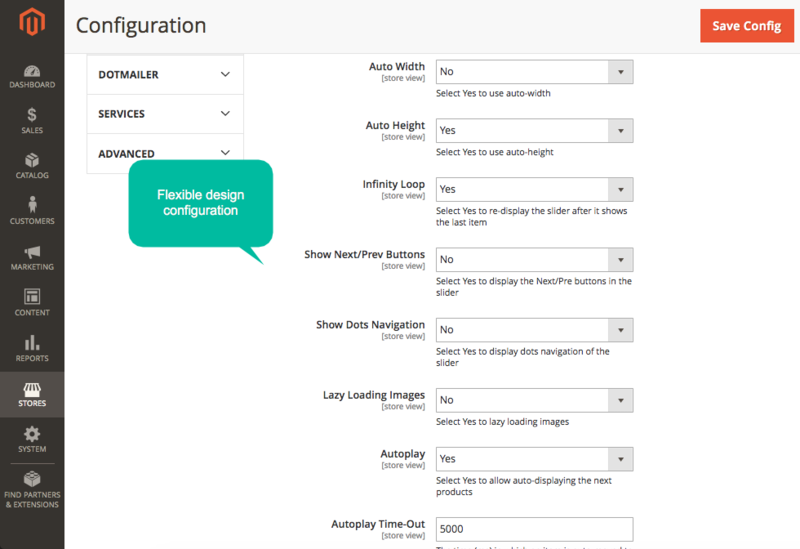 And please note that Banner Slider module supports 9 options for flexible change. filter_drama Does this module support available template for banners? filter_drama How can I create Banner Slider Widget? Thank you very much to Drake for the help! I could not deploy the application so that it worked without errors. Drake told me to remove one record from the database and reinstall the extension. It helped me and now the slider extension works without errors! Thank you very much for the new experience and professional help! This extension is very useful and working perfectly. 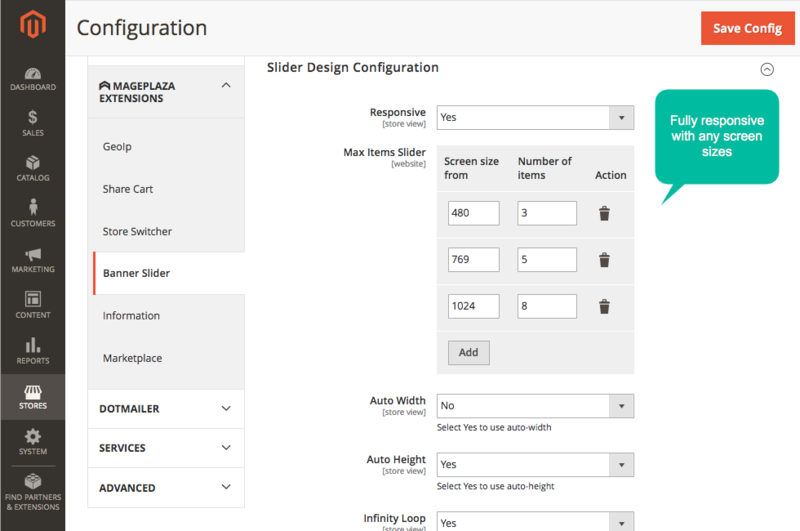 You can improve customer experience with banner slider extension. And this extension compatible with the Magento 2.3 version. Once again thank you so much Mageplaza! Being a free plugin, I was not expecting much in terms of support. The plugin works out of the box and is easy to use. However, my theme had a slider in a different position so using it with the theme required some customization. I wrote to the theme support and Drake was super responsive to my emails and did his best to make it work with the theme. He resolved the issues on priority. I will highly recommend the theme and the Mageplaza! It is the greatest module and it has a lot of useful features. Its installation and integration are more flexible and ease of use. Its support team is very helpful and give a quick response. Thanks. 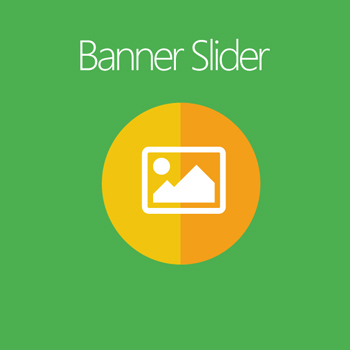 Very helpful module to banner slider simple use and blocks to display anywhere. A great free tool, integration has no issues with the latest version as well. Awesome & excellent design. When I'm stuck about to creating a very unique slider, this could be a very helpful module to complete my design. I suggest everyone use this for your better slider design. Banner slider is set up simply, Good to use with simple interface and installation. The product is also compatible with the latest Magento version. The product was good and support team was excellent. I personally prefer to work with this team in the future. Nice product and helpful support. I will prefer to work with this team in the future for my work. The product is also compatible with the newer version. Lots of thanks team. Thanks, team. The extension is very good and useful. I used for my project and only took 30 minutes to set up a banner display on my website. The Best for a free module! The module is made at an excellent level! Convenient and intuitive management, good documentation with explanations and video. There was a slight roughness with the slider widget without directly using the slider, but this was easily fixed by myself. In general, the integration of the module went very smoothly. Thank you so much for a quality product! You are the best support I have ever experienced. 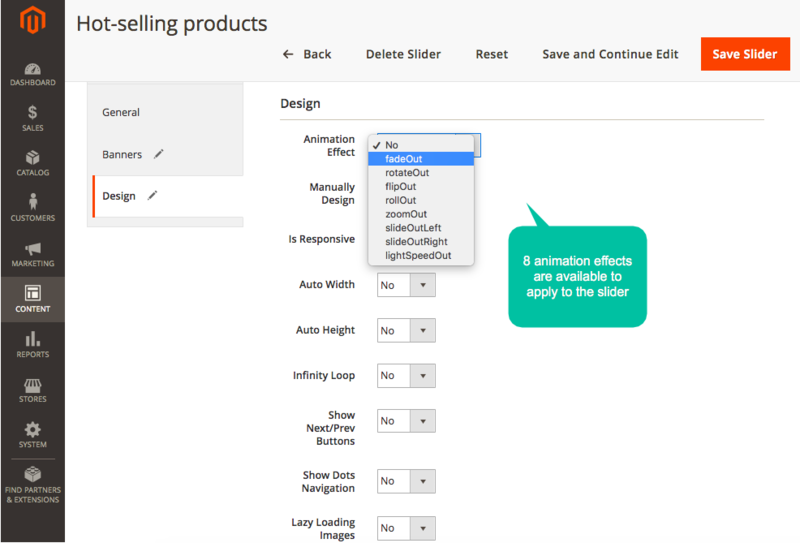 The Banner Slider extension is a great tool for every Magento website. Thanks for making it compatible with RTL themes. Also, you should mention that this extension supports RTL in the details on your main website. As usual, I see similar extensions with the same functionality but with the price. In this case with a free Banner slider of Mageplaza - I have great functionality which neither corrupts nor breaks my environment!